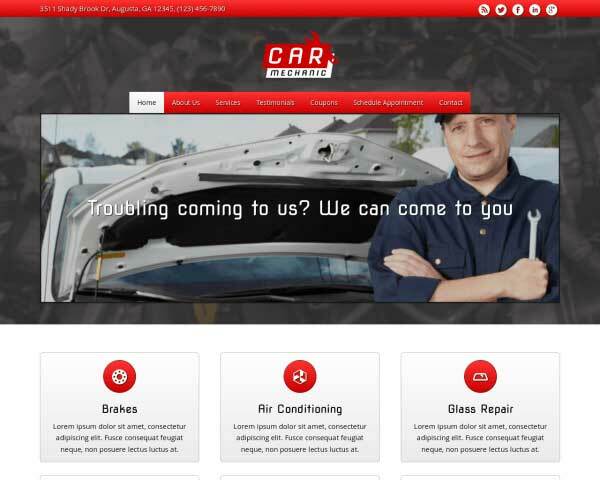 Rev up your auto repair business with the Car Garage WordPress theme! In a business based on looking under the hood and using the right tools to get the job done, you'll appreciate our sleek design and front-end editing tool that makes building your auto repair shop website quick and easy! Even before your customers roll into your garage, it's likely that they will have searched online to find you and look at your website first. 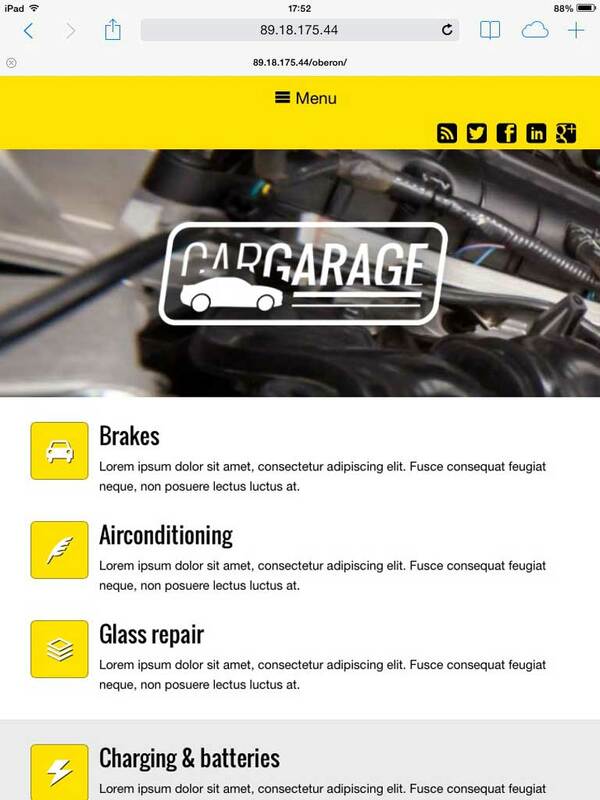 Make a great impression right from the get-go with our Car Garage WordPress theme! 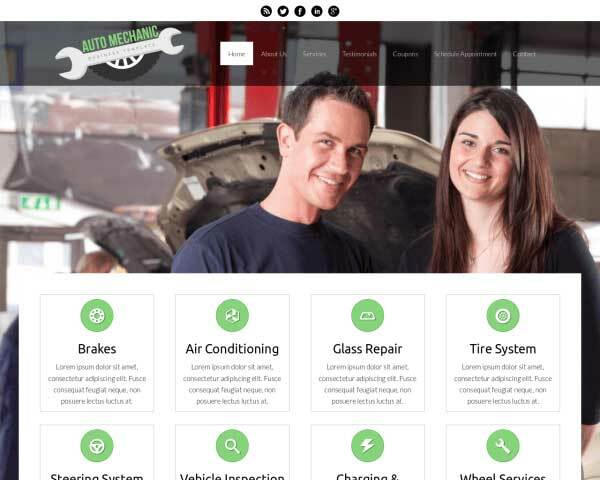 There's no need to start from scratch when you can have your auto repair shop website up and running just by installing this pre-built template and swapping in your own photos and text. We've designed this theme with an exciting design and layout and everything you need already set up for you. 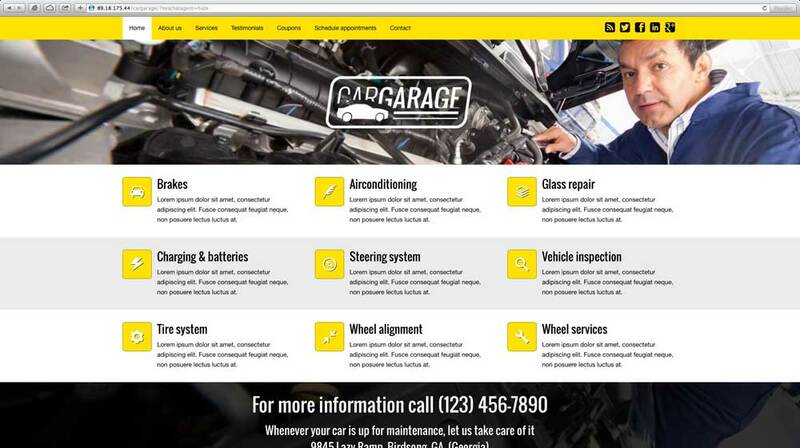 Rich business features like an online appointment scheduling form and easy-to-manage search engine optimization are included, along with pages for your car garage services, testimonials from satisfied customers and a page for your coupons and promotions. The homepage and sidebar include quick links so customers can conveniently navigate to the information they need, and integrated social media links and Google maps help them connect with your business online and on the road. Personalize the Car Garage WordPress theme with your own colors and content and your website is ready to go! The Car Garage WordPress Theme comes with a built-in booking form, allowing you to take appointments online even outside of business hours. 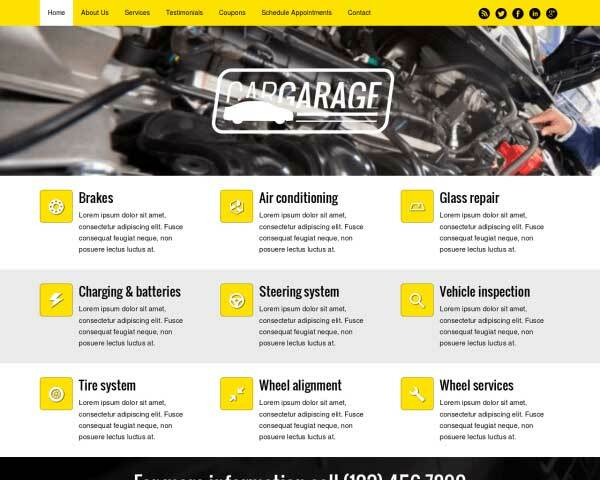 Unlike the average WordPress theme on the market, the Car Garage WordPress Theme was designed specifically to create a professional online presence for service station owners. Visitors won't have to search for a way to get in touch thanks to calls to action prominently displayed on every page of the Car Garage WordPress Theme. The contact page on the Car Garage WordPress Theme includes an integrated Google map and route planner, as well as a contact form so potential clients can get in touch anytime. 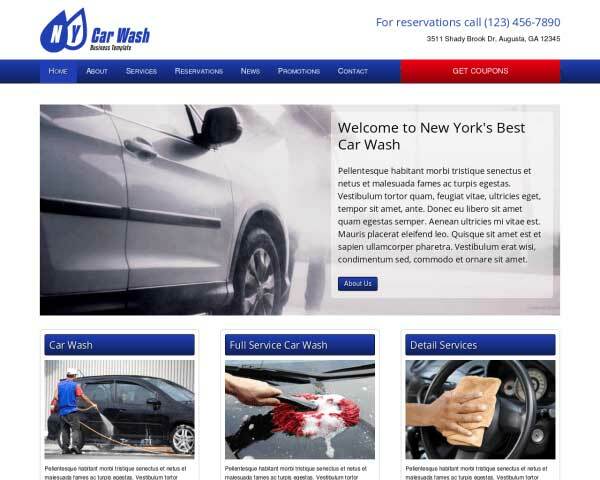 We've included a page for coupons and promotions with this WordPress theme for service stations. Images and buttons can be linked to a PDF file that customers can download or print. 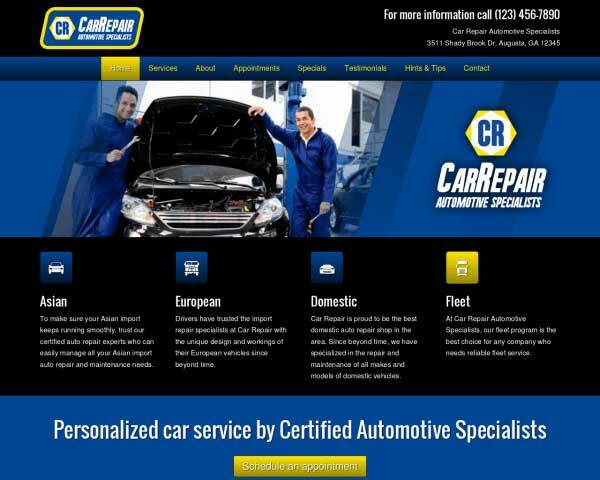 With a brilliant uncluttered but very powerful design your car repair firm will set itself apart from the competition. 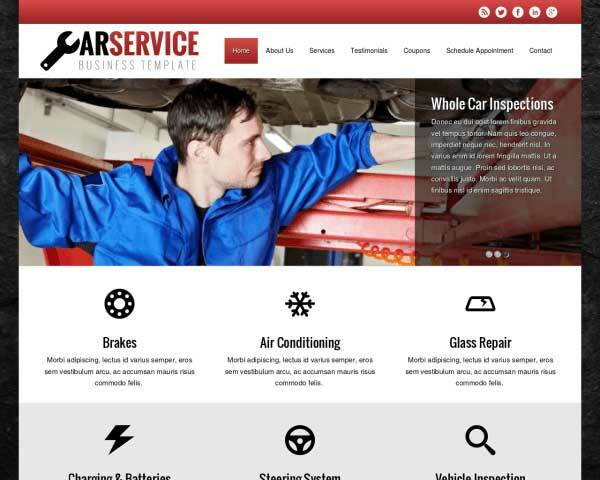 The Car Garage WordPress Theme includes individual pages already set up for you to go into detail about each of the services your business has to offer to pique the interest of future clients. 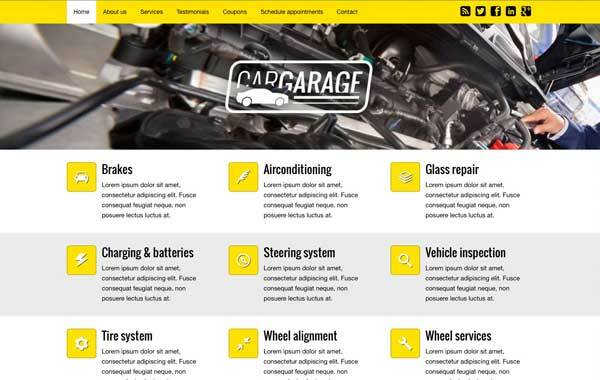 Present visitors with a quick overview of your services on the homepage of the Car Garage WordPress Theme, allowing them to navigate directly to that page with one click. An important feature is to be able to redirect people to the most popular social media platforms you use. It's only natural that we've included these in the Car Garage WordPress Theme. Add a welcoming touch to your service station website by introducing your team with a profile photo and short bio. 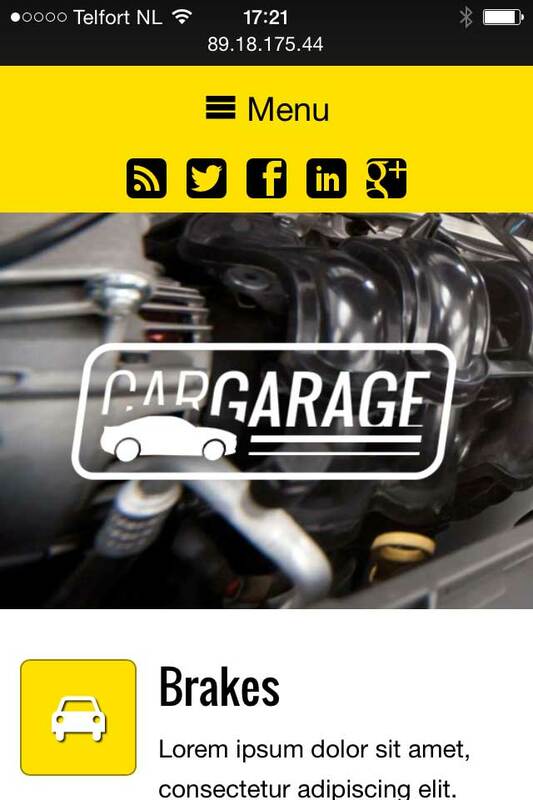 Placeholder images and text are ready for you on the Car Garage WordPress Theme. 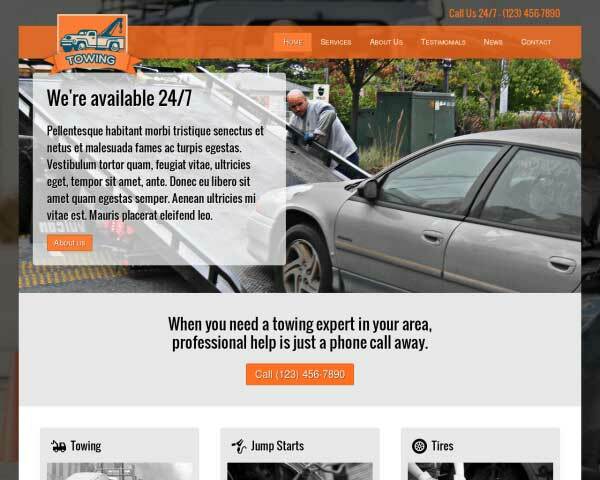 The best way to promote your services with the Car Garage WordPress Theme is to do let others do the talking for you. We've included a stylish testimonials page for you to fill with your own quotes. 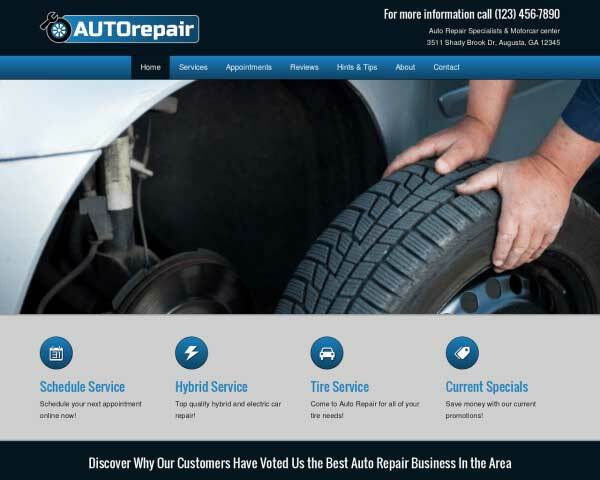 Right out of the box, your auto repair shop website will be optimized for mobile devices when you use the Car Garage WordPress theme to build your site. We've designed it to be fully responsive, meaning that the layout of your content will automatically adjust to fit any screen size on any device. With no extra effort required on your part, your customers will enjoy the same professional look and functionality of the desktop version whether browsing at home or on their smartphone from the side of the road.